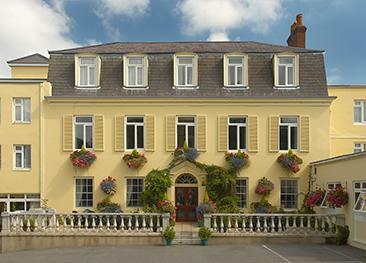 The Best Western Hotel de Havelet is a little gem close to the heart of town and to many of Guernsey's top attractions. 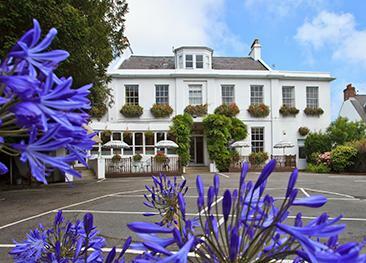 The hotel is elegantly set in a Georgian house that stands in its own private grounds and overlooks St. Peter Port’s bay and castle. Both décor and cuisine are immaculate. An indoor swimming pool with garden views completes this lovely setting, ideal for a short break or longer holiday in Guernsey. There is a selection of single, double and twin rooms, with some able to accommodate one extra bed for a child. All rooms are en-suite and equipped with colour TV, radio, small fridge, tea & coffee facilities, hair dryer, direct dial telephone and trouser press. The Wellington Boot is a destination of choice for islanders who come to enjoy the setting as well as the fine dining. A la carte and set menus are available, and guests can also enjoy their half board option in one of the de Havelet's sister restaurants at Les Rocquettes hotel or the Best Western Moores hotel. A great way to sample even more of Guernsey's local delicacies. Why the restaurant bears the Duke’s name is a sweet and sour story, do find out more while you are there! Panoramic views of the bay and of Castle Cornet can be admired from the restaurant room, formerly the property’s coach house. The Havelet Grill offers a casual atmosphere, a simple and lovely menu of grilled meat and fish and the option of al-fresco lunching or dining on the terrace when the sun is out. An indoor swimming pool complete with sun loungers, a sauna, steam room and a Jacuzzi are available for guests to enjoy. 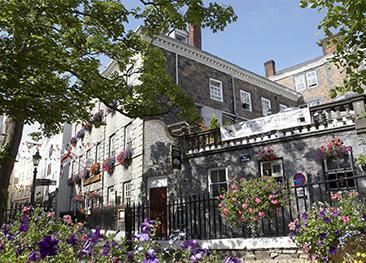 The hotel offers a complimentary tour of Guernsey twice a week during the high season. A courtesy minibus operates between April and October between the hotel, the town centre and the Best Western Moores Hotel. The de Havelet offers some wheelchair accessibility to the bar and Grill, one ground floor room with walk-in shower, and one first floor room with walk-in shower. However the breakfast room is on the first floor with no lift. This hotel is the finest I have ever stayed in. From the person who tidied the room to the General manager their service and attention was first class. The food in the restaurant was excellent and the staff were attentive and friendly. Excellent hotel in lovely location with friendly, helpful staff and excellent food. Lovely Hotel, staff very friendly and couldn't do enough to help us enjoy our stay. We booked half board. The standard of our room and the restaurant was excellent. All staff were welcoming, courteous and helpful throughout our stay. The hotel was clean, the staff friendly and helpful and the food delicious.